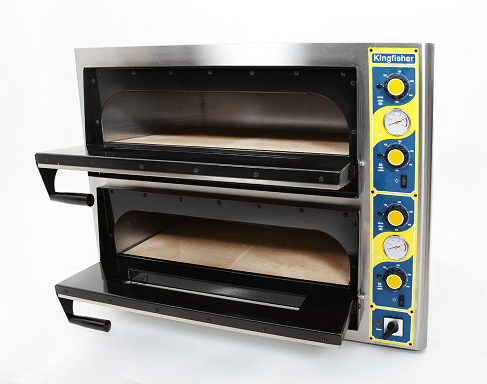 These medium-sized pizza ovens provide a robust service and quality cooking for small to medium sized pizza outlets. 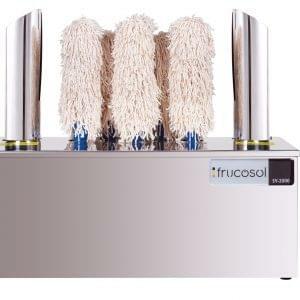 Boththe 4+4 and 6+6 modelshave two completely independent decks equipped with top and bottom heat control on both. A stone baking floor means you get an authentic and crisp pizza base. 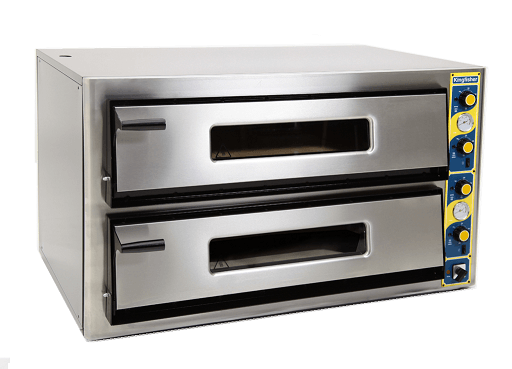 Ovens designed to maximise 12″ pizzas – IN PANS. 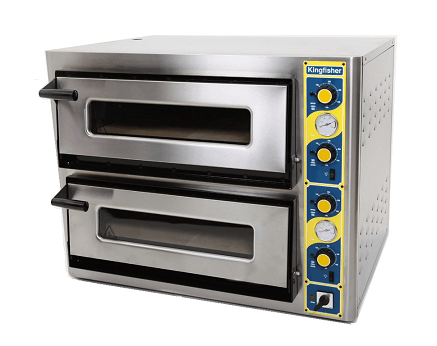 A high quality structure as well as armoured elements and reliable thermostats make the Kingfisher oven range the best value pizza ovens on the market. Each deck has a viewing glass and internal light. 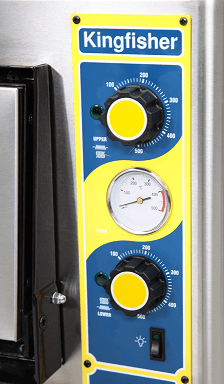 Ovens come single phase as standard, but can be converted to 3 phase free of charge.